From Goodreads: Cleo desperately wants a necklace. Her parents say special presents are only for birthdays...but Cleo doesn't want to wait. In the second story, it's her mum's birthday and Cleo doesn't know what to give her - until she has the best idea of all. Delightful, warm and irresistible, these stories show how a little girl with a big imagination can always find a way to have fun. Thoughts: Libby Gleeson is one of those Australian children's writers you can't go wrong with. Her stories are wonderfully told and deceptively simple. 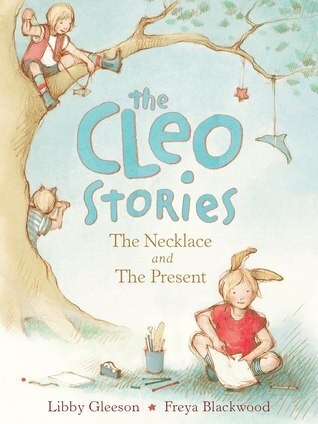 In these two stories we meet Cleo, a bright, creative child who has parents that are obviously loving and supportive. Like any little girl, Cleo wants what her friends have and is desperate to give her mum an extra special gift on her birthday. Her solutions for both problems show children that sometimes the best answer is not the one we thought of first, but the one that comes by thinking out of the box. Freya Blackwood's illustrations only add to the charm of this book and give the reader lots to look at. It would be a great book to share with younger children. 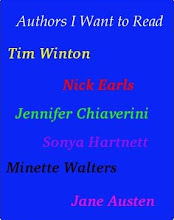 The Cleo Stories gets 3 stars!